Modern Latin America, especially Argentina, Chile, and Brazil. Environment. Cities and citizenship. Architecture and urbanism. The history and politics of natural disaster (and rebuilding). Labor. Race. Nationalism and state-formation. Born in Germany and raised in New Jersey, Minnesota, and Argentina, Mark Healey graduated with honors from Princeton University. After studying at the University of Barcelona on a Rotary Fellowship, he earned his MA and Ph.D. in Latin American History from Duke University. His research had been funded by fellowships from the Social Science Research Council, Fulbright, and the Woodrow Wilson Center. 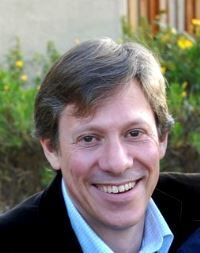 After a postdoctoral fellowship at New York University, he taught at the University of Mississippi and the University of California, Berkeley before returning to the East Coast and joining the faculty at the University of Connecticut in 2011. The Ruins of the New Argentina: Peronism and the Remaking of San Juan after the 1944 Earthquake (Durham: Duke University Press, 2011). El peronismo entre las ruinas: el terremoto y la reconstrucción de San Juan (Buenos Aires: Siglo XXI Argentina, 2012). Editor and translator, Blood, Ink and Culture: Miseries and Splendors of the Post-Mexican Condition by Roger Bartra (Durham: Duke University Press, 2002). Editor and translator, Clerical Ideology in a Revolutionary Age: The Guadalajara Church and the Idea of the Mexican Nation 1788-1853 by Brian Connaughton (Calgary: University of Calgary Press, 2002). “The Superstition of Adobe and the Certainty of Concrete: Power, Shelter and Technical Knowledge after the 1944 Earthquake in Argentina” in Buchenau and Johnson, eds. Aftershocks: Earthquakes and Popular Politics in Latin America (Albuquerque: University of New Mexico Press, 2009). “Buscando un orden entre los escombros: proyectos políticos y respuestas religiosas después del terremoto de 1944 en San Juan, Argentina” Relaciones: estudios sobre historia y sociedad 97 (2004): 58-89. “Powers of Misrecognition: Bourdieu and Wacquant on Race in Brazil” Nepantla: Views from South 4, no. 2 (2003): 391-402. “El interior en disputa: proyectos de desarrollo y movimientos de protesta en las regiones extrapampeanas” in Violencia, proscripción y autoritarismo (1955-1976), vol. 9 of Mirta Lobato and Juan Suriano, eds. Nueva Historia Argentina (Buenos Aires: Editorial Sudamericana, 2003): 169-212. “La trama política de un desastre natural: el terremoto y la reconstrucción de San Juan” Entrepasados 22 (Argentina, 2002): 49-66. “The Fragility of the Moment: Politics and Class in the Aftermath of the 1944 Argentine Earthquake” International Labor and Working-Class History 62 (2002): 50-9. “La estructura ausente: territorio, desastre y memoria” Apuntes de investigación del CECyP 8 (Argentina, 2002): 59-70. “‘The Sweet Matriarchy of Bahia’: Ruth Landes’ Ethnography of Race and Gender” Dipositio/n 50 (2000): 87-116. “‘Disseram que voltei americanisada’: Bourdieu y Wacquant sobre raza en Brasil” Apuntes de investigación del CECyP 5 (Argentina, 2000): 95-102. “Os desencontros da tradição na ‘Cidade das mulheres’: raça e gênero na etnografia da Ruth Landes” PAGU: Revista de estudos de gênero 6 (Brazil, 1997): 153-200. “Labor and Integration: Building Regional and Global Ties” Latin American Labor News 12 (1996): 6-10.
with Russell Smith, Labor and Mercosur: A Briefing Book (Miami: Center for Labor Research & Studies, 1994). 155 pp. with Russell Smith, eds. Labor and Mercosur: A Documentary Collection (Miami: Center for Labor Research & Studies, 1994) 300 pp. Labor, Mercosur, and Latin American regional integration: a bibliography (Miami: Center for Labor Research & Studies, 1996). 50 pp. with Ernesto Semán, “Down, Argentine Way” The American Prospect 13, no. 2 (28 Jan 2002): 12-3.
with Ernesto Semán, “The Costs of Orthodoxy” The American Prospect 13, no. 1 (14 Jan 2002): A34-7.